4 Panel Pro bean bag style juggling balls (Leather fabric) & travel bag! Our very own top quality classic medium sized thud juggling ball beanbag made of special artificial suede or leather for a truly wonderful feel and an absolute joy to juggle with! 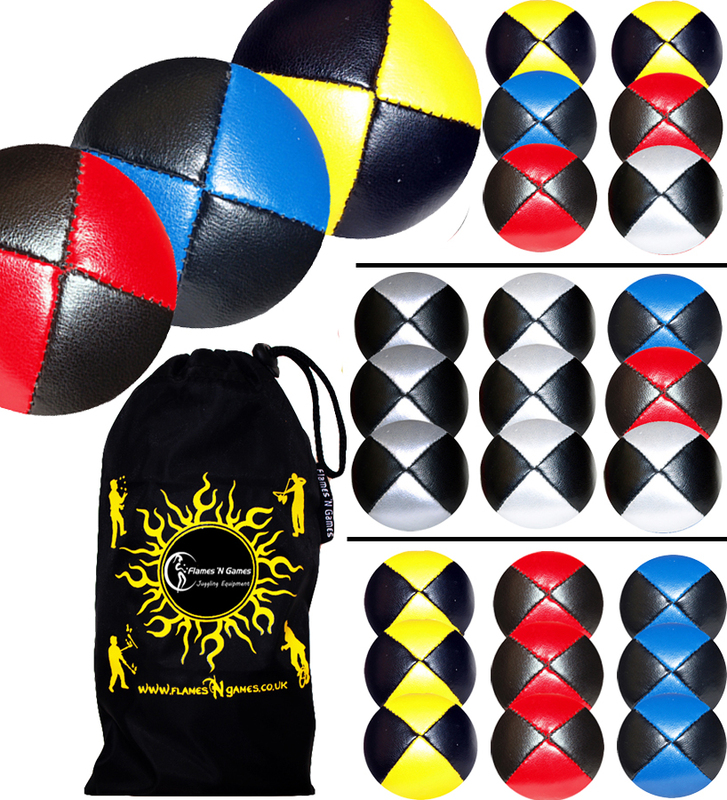 Classic beanbag style thud juggling balls in a set of 3 as well as a small pouch travel bag to keep them all together! These balls are handmade in the UK from a high quality materials and are sold in thousands throughout the world. The seed filling and stretchy material gives them a great feel and makes them easy to juggle with as the softness of the ball makes it easy to catch and less likely to roll away when dropped. These approx. 110g thud juggling balls are the standard size juggling balls!